Operating since 1979, Agent Signs & Designs offers the best in quality, services and prices. Indoor and outdoor advertising is what we do best. Our advertising capabilities range from temporary indoor promotions to long term outdoor signage. We also offer our clients sponsorship rates on charity golf tournaments, birthdays and special events. Agent Signs & Designs is a family business run by father and son. 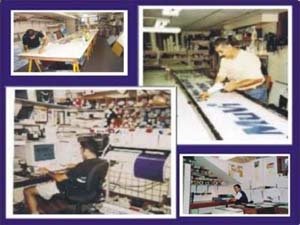 We take pride in our work and only use top of the line sign programs, machinery and operating systems that provide excellent finished products to our clients.